You are entitled to rewards! Click above for details. 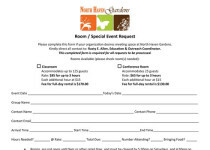 Submit our request form if your group would like to meet at NHG. Looking to take your garden skills to the next level? A session with our Garden Coach is what you need. Need a raised garden bed built? Call us! We will do the heavy lifting for you. 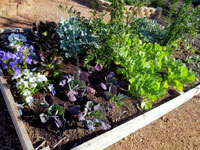 Feature articles written by our experienced staff focusing on gardening in North Texas. Available in print to active NHG Grow Card members or to everyone online. Had a great experience at NHG? Please tell us! Let us get our knees dirty and put your plants in the ground. Click here for prices & zip codes. Revitalize your landscapes! Book a specific color. Click above to learn more. Many garden groups meet regularly at NHG and are open to the public. Recycle plastic pots with #2 #5 and #6. Storage in our one-of-a-kind cooler for Grow Card members. Call or email for details 214-363-5316. Delivery and setup available in limited zip codes. This Professional Landscape Directory is kept at our service desk should you need a professional to install or maintain your landscape. Your plants are covered! View and download our Warranty Plan for all NHG sales. Seeking a donation from NHG? Download and fill out this form to get started.